Emily Eldridge began her career in the early days of Flash, at a startup looking to make the web a more engaging and interactive place through online product demos. While there, she lead an Addy-winning campaign to demonstrate the Windows Pocket PC (solid proof of her age). Her "just figure it out" attitude led her to try on many hats: from Digital Photographer to Flash Designer to Project Manager to UX Designer (before the role even existed). If it needed to get done, Eldridge just jumped in to do it. Eldridge transitioned her digital marketing skills to a product-side role, helping Akamai Technologies recruit new talent, before returning to her roots at Digitas. While at Digitas, she helped develop a process for OLA development to roll out across all GM brands. And as luck had it, Eldridge accepted the challenge of coming to The Martin Agency to help build a digital capability at an agency known for television and print. She helped build out The Martin Agency’s internal digital design and development team, who have gone on to create countless award-winning campaigns, including early uses of AR and AI. In the first year of its existence, The Martin Agency’s content studio delivered over 500 unique pieces of content for its clients. Her career highlights include helping to build a dynamic ad platform before most Rich Media platforms even offered this technology, orchestrating early use of augmented reality for the Virginia Museum of Fine Arts for both the Picasso and Chihuly exhibits, and facilitating the team who implemented one of the first integrations of IBM Watson AI into a marketing initiative for Chevy’s Positivity Pump. Eldridge is the humble owner of hardware from The One Show, Webbys, Cannes, Addys and FWA. 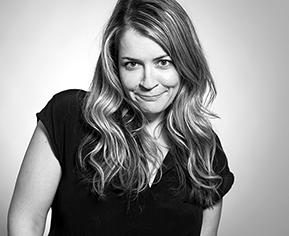 Speaking of the FWA, she has served on their jury since 2016, along with Doubleclick’s Agency Advisory Board and McCann’s Strategy and Digital Leadership Committee.